The 2016 presidential race was both inspiring and ridiculous. The road to narrowing down the candidates brought millions of people out that might not have normally participated, including Russian operatives and makers of fake news. The issues were top of mind around the world, and the candidates inspired a wave of art, cultural moments and reactions that had not been seen since the late 60’s. One thing is certain though; there was no shortage of unforgettable moments on the road to the White House. 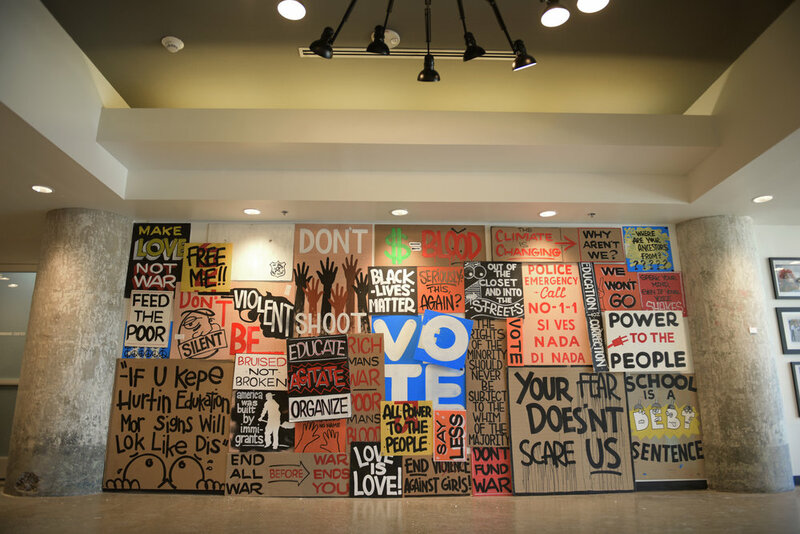 PoliticArts explores the role of art throughout the key cultural and political shifts of the 2015-2016 presidential campaign cycle. It looks at the history of political art and activism – from World War I, World War II, Anti-Vietnam counter-culture, Obama's Hope, Occupy Wall Street – to the critical moments that defined the primaries, the presidential race that stoked many, the inauguration and Donald Trumps’ first 100 days. This coffee table style book investigates the official art generated in support of, and statements against, candidates Hillary Clinton, Bernie Sanders and, of course, Donald Trump, while exploring the visual language around the candidates, the most pertinent issues that led the conversations, and the surreal moments in between. Not only does this special project stand out from the standard art book, it serves as a larger art as activism platform. Luis Calderin illustrates the role of pop culture figures through the campaign and the issues that defined the campaign. From Black Lives Matters, the North Dakota Access Pipeline, immigration reform, mass incarceration, the economy and the Women’s March, PoliticArts shares observations from some of most instrumental people on the campaign trail, as well as the who’s who of cultural, social and political commentators. The book will release in Summer of 2018. With a career focused at the intersection of youth, culture and politics, Luis Calderin has worked with various youth lifestyle brands and is presently the owner of a boutique marketing and design agency specializing in public relations, brand marketing, art, entertainment and design. He previously served as Director of Arts, Culture and the Youth Vote for Senator Bernie Sanders’ 2016 presidential campaign. In this role, he was responsible for shaping some of the most memorable moments of the campaign. He helped secure hundreds of surrogates for Senator Sanders, including artists, musicians and cultural leaders committed to representing the interests of young voters. Calderin also spearheaded a national touring exhibition, curating issue-based art inspired by the political landscape of America. Once the Sanders presidential campaign ended, Calderin went on to Rock the Vote, the nation’s largest nonprofit and nonpartisan organization driving the youth vote. This experience allowed him to help lead the organization’s work to engage and mobilize young voters in the 2016 elections. In this capacity he connected RTV with the brands, artists and icons that inspire young people to participate in the political process and fight for meaningful change. Calderin is a father of two teenagers, a DJ, an avid lover of many things pop culture and proudly served as a member of the Army National Guard of the United States. All other inquiries please use the form. 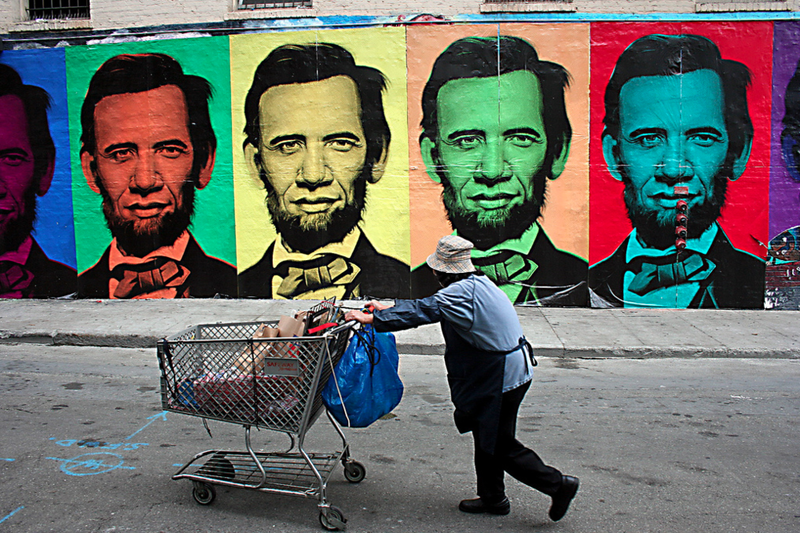 Sign up now for all ting related to art and politics.